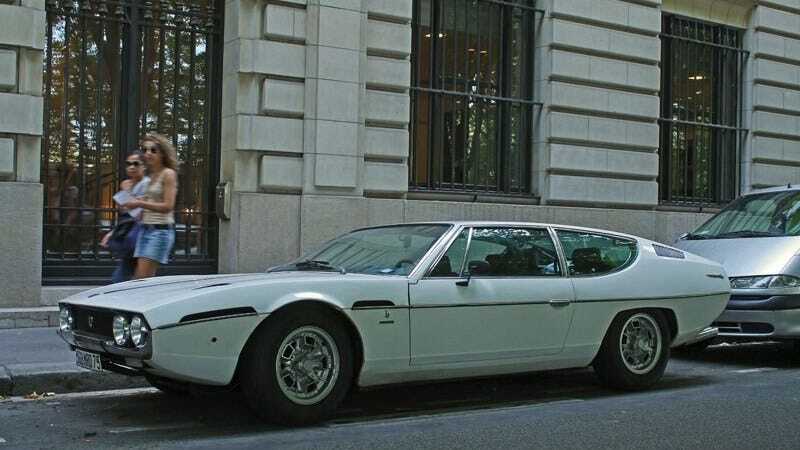 It was unexpected, to say the least, to see a series 1 Lamborghini Espada parked silently on a crowded street in Paris. That is a memory that I’ll never be able to push from my brain, it’s indelibly inked. This giant white vintage Lambo would have been exciting to see parked in a private collection, or even a museum somewhere. But the fact that it was sitting there a few inches from the curb, bumper staring down the bumper of a van parked behind, and a large motorcycle ahead, made the experience of seeing it all the more awesome. It looked so out of place and yet so at home. This experience was at least four years ago at this point, but I’ve not been able to beat it since, and I’m not sure I ever can. It was such an interesting combination of events that led to me seeing this car on this particular street at this time. I occasionally see interesting cars parked on the streets of San Francisco when I’m on my monthly visit to the city. There are the occasional Porsche, a dilapidated Triumph TR250, and even a Citroen SM, but nothing quite so exciting as an Espada. Some car enthusiasts are so uptight about how their cars are treated, leaving them undriven in underground garages because parking them on the street would come with an increased probability of scratched bumpers or curbed wheels. It’s refreshing to see someone who loves their vintage Lamborghini enough to drive it like it was meant to be driven. Even if you live in a big city with less than stellar parking availability, you shouldn’t waste a car like this by being afraid of it. What interesting and exciting cars have you seen parked on the street? What cool cars do you own that you’re not afraid to street park? Show us the cars parked on streets!